Review: Cape May IPA by Cape May Brewing Co.
As we packed up for a trip down the shore, I got to scheming. I had to try something new this past weekend. As a lifelong fan of the Jersey shore, I’d heard of Cape May Brewery, but I just never had the chance to actually sit down and try one of their beers. 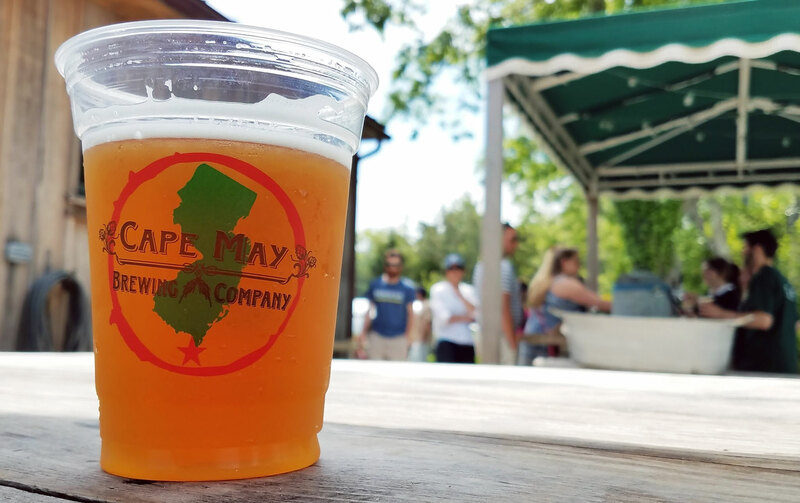 So when my family ended at Beach Plum Farm’s “Spring at the Farm” event in Cape May, imagine my surprise to see that Cape May Brewery happened to be there, featuring two of their signature brews – their flagship IPA and The Bog Cranberry Shandy. As good as a cranberry beer and lemonade mix sounded on that hot summer day, I decided to go against my gut and try the IPA. That’s the old logo for Cape May Brewing Company on this cup. I was excited. I may have been thirsty – I may have been excited by this new journey into craft beers and breweries – whatever the reason, I took my first sip without even taking time to appreciate the look or smell. I know, bad review etiquette. I was pleasantly surprised. Lemons, pineapples, mangoes. Light biscuit malt, hint of caramel, a nice bitter kick after a long finish. Very light carbonation, medium-bodied. Not very dry. After that first taste, I quickly regained some sense of composure, remembered my mission, and took a closer look at what I was drinking. Light amber, just enough cloudiness. Honestly, I find it gorgeous, especially in the summer sun. Light headiness with low retention. With my first smell, I got the pleasant citrus and tropical aromas, very light on pine and malt. The perfect summer IPA, best enjoyed on the beach, at the pool, or on the deck of a boat. When I’m in Cape May, I have a new go-to local brew. Editor at The Craft Beer Diaries. Devoted husband and father. Excessively geeky. Comic books, video games, and craft beer are my vices. Favorite beer style easily the IPA. Growing love for the DIPA, specifically.